Ballare, to dance. Italians love to dance. They dance at the drop of a hat. But one dance in particular has been a hit here in America, the Tarantella. There are many legends about the Tarantella. It began in the town of Taranto is southern Italy. In the 1500s there was an outbreak of Tarantula poisoning. Yes there are tarantula spiders in Taranto, Italy. The legend I was told went like this: when you are bitten by the tarantula the poison could kill you. The only way to survive is for you to sweat the poison out. The way the locals chose to do that was to dance, dance, dance in a frenzied manner! That was how the Tarantella was born. 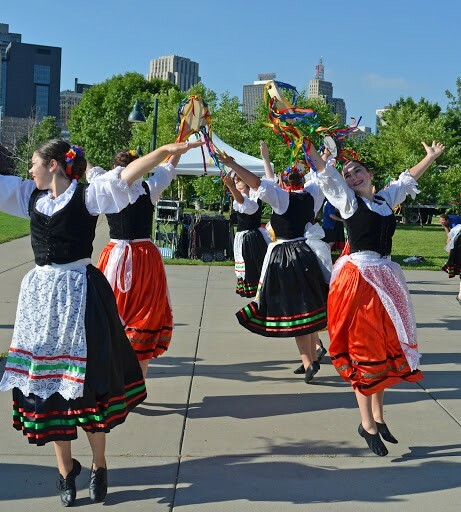 My parents used to travel the state of Minnesota performing the Tarantella and other Italian dances. My mother called out the steps (form the basket, rock back and forth, spin your partner) I was taught the dance at an early age too. 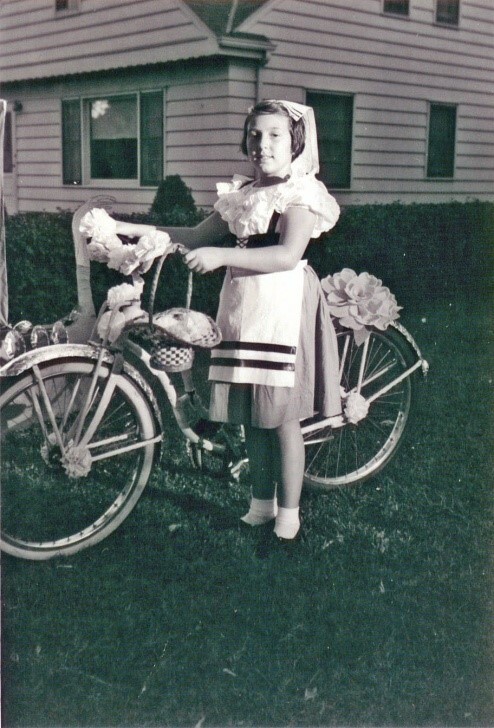 I had the costume, the head covering, the steps and stamina to do the dance. I was so proud of my costume that I wore it in a parade. 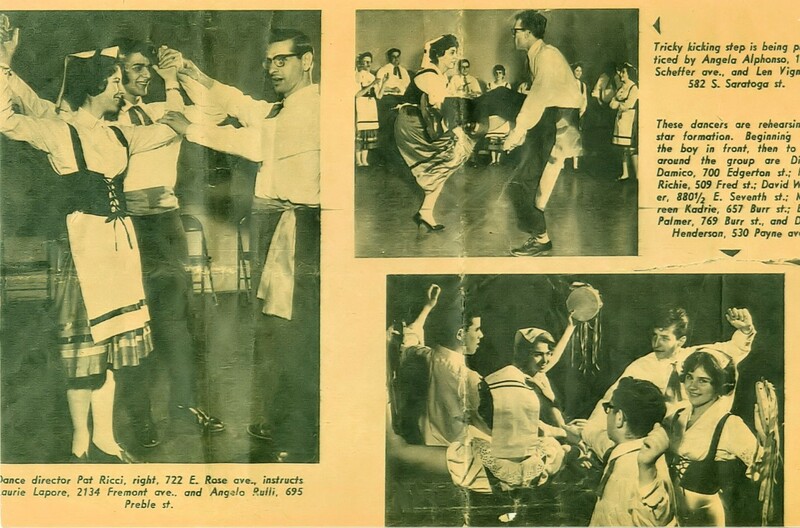 My father taught many younger people how to dance the Tarantella. Here he is pictured in a newspaper article teaching the next generation. We were all so proud of our heritage. Most Italian-Americans I know do some form of the Tarantella at wedding receptions. The most popular steps of the dance occur when the bride or groom is dancing in the center and all the dancers take turns twirling them around, swishing skirts and flirting, bumping rumps and all the other steps. It has become a ritual of welcoming the new married couple into their adult life. Now it is rare to see a formal production of the Tarantella and other traditional Italian peasant dances. At the Festa Italiana MN celebration this year there were two groups dancing, one came from Canada and one was local. You could see the joy as they moved and the audience enjoyed it. I wish I could have danced with them. 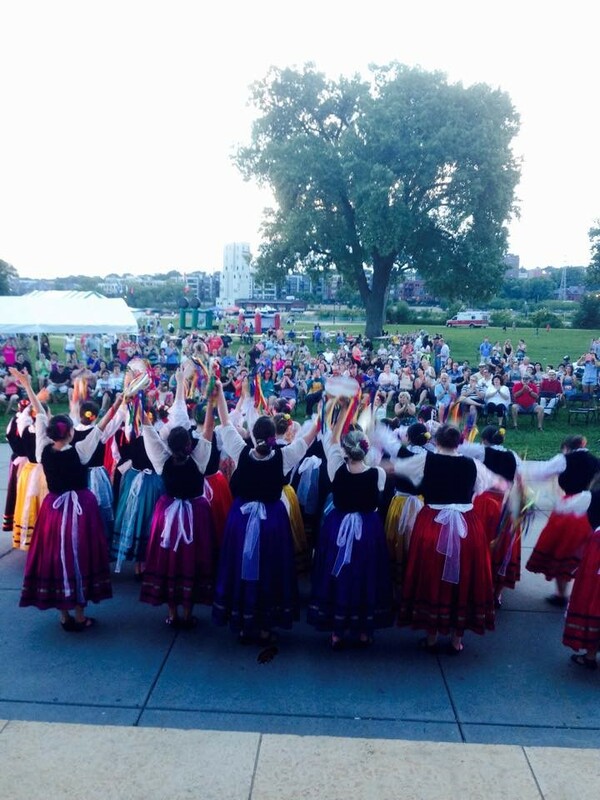 Thank you Festa Italiana MN (www.festaitalianamn.org) for keeping the Tarantella alive. We must be ready for the next Tarantula bite. We must be ready to dance the poison out of all of us. Are you ready to dance? Balla! Balla! Dance! Dance!